Does compliance actually mean better security? I am sure that you have been heard this question several times in multifarious debate sessions which was held between many security professionals. The simple answer of this question is compliance does not improve security. Compliance is primarily about the reporting, arise covering and finger pointing. Security on the other hand is about truly protecting information and requires changes to your corporate attitude, systems and people. Though, every IT firm needs IT Security & Compliance act as a threat management solution. The advent of technological innovation and the globalization of the business space have made organization dependent on technology to collaborate, communicate and share all valuable data through the web based applications. These include information sharing via email, web conferences, blogs and even the social networking sites. However, these technologies also expose the organizational data to the variety of threats in the form of security breaches, data leaks, and cyber crimes causing heavy losses to the organizations worldwide. Adequate compliance policies need to be in place to reduce the amount loss of intellectual property through data thefts and cyber crimes. Given the diversity of business security needs, visibility and identification of the risks are matters of concern. To survive through this, organizations today opt for threat management wherein, unified security monitoring solutions are used, while allowing access to the various applications and data required time and again by the users. 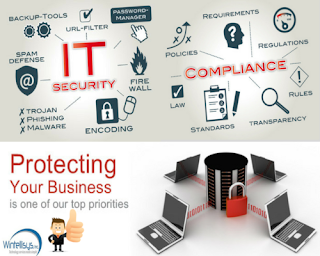 A number of IT organizations have forayed into providing integrated IT security services. These services use a cloud based delivery model and facilitate end-to-end security monitoring coupled with IT governance and risk management. Though basically used as a cloud based model, this can also be deployed on the premises. One of the main advantages of using such threat management solutions is that it provides integrated IT compliance, which can be built into the framework to support various regulatory compliance's. Further, it can be customized to country specific compliance regulations and facilitates automation of all security, audit needs. Integrated with dashboards; this support cyber security in IT operations and management with clarity, accountability and transparency across operational platforms. With the flexibility to adopt new governance requirements, it defines the policies and procedures to ensure good return on investment. By reducing the manual process through it automation, it also lowers the cost. The IT Security & Compliance service, with simplicity and streamlined installation, provides identity reports of individuals in a network. Whether it is concerned with network, wireless devices, lagging, reporting, and firewall functioning or whatever you need in terms of security Wintellisys provides you everything.